At last investor sentiment towards China and the Asian markets is beginning to improve, and the summer storm is clearing. 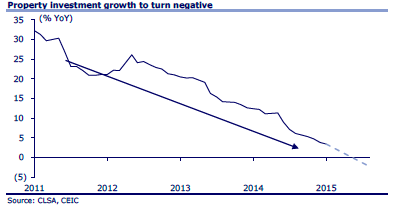 Despite the fall of nearly 40% in the Shanghai Index, China’s economy is not collapsing. The Renminbi has remained one of the strongest currencies in the world despite a slight fall of 3% against the US dollar and is likely to be adopted by the IMF next month into the Special Drawing Rights (SDR) as one of the five global currencies; and although world growth has slowed, we believe that there are still positive consequences for global consumers in the dramatic fall in energy prices. One topic that we would like to address this month is the secondary consequences of the fall in the oil price. China’s economy is now nearly US$11 trillion. Even if the growth rate is falling to between 5% and 6% per annum, this means that China’s impact on global demand, especially other emerging markets, is extremely important not only for commodities but also for consumer goods, automobiles, luxury goods and services. Our view is that commodities will stay flat for some years because they are in an over-supply situation, including oil; and China’s growth will be less energy intensive going forward. In fact, we believe it will become much more like a European economy with the service sector exceeding 50% of GDP in the next five years. Foreign trade, which accounts for almost 50% of GDP in China, compared to 13% in the US, is enormously important to China. Although there will be a slowdown, China’s overwhelming presence in many product markets will not go away. They have maintained a large trade surplus, nearly US$60 billion in August alone, and have foreign exchange reserves of US$3.6 trillion – far larger than any other country. There is no reason why the Renminbi should weaken significantly if Beijing wants to support it. Unemployment is running at about 4% nationally, and we do not foresee a major social problem ahead. China’s industrial production may slow down, but its labor force is also peaking out in this decade. Its debt situation is also manageable, with very little foreign debt and most local and municipal debt owed internally and, therefore, able to be managed by the central government. The property market in China has also reached a plateau with nearly 90% home ownership according to published figures, and growth will certainly slow, although we do not yet foresee a collapse in real estate prices. The major focus today is on financial reform and innovation. The opening up of China’s banking and securities industry will be the most significant change, and financial liberalization also means a larger outflow of Chinese capital into global markets. Beijing has also put its full weight behind the Asian Infrastructure and Investment Bank as a new vehicle to compete with the ADB and the World Bank, in its backyard, and also the “One Belt One Road” connecting Russia, Mongolia, and Southeast Asia with infrastructure, financing, and free-trade agreements as key elements. Finally we expect China to be more innovative in technology and medicine in the next decade, and the liberalization of the Shanghai market to allow easier start-up listings, like NASDAQ, will be important in encouraging innovative entrepreneurs. If we are right about China growing at 5% or better, this is still critical to the health of Southeast Asia and China’s trading partners. In particular, we expect that Hong Kong and Singapore will benefit from the financial liberalization and growing Chinese capital outflow. The other ASEAN economies will experience high growth as a result of China’s infrastructure program and 120 million Chinese tourists traveling overseas, as well as investment into hotels, factories, airports, and road and rail. We currently have exposure in Singapore and Thailand, but we remain cautious about currency risk in Malaysia, Indonesia, and the Philippines. India is growing at a slightly faster pace than China, at about 7%. The Indian Rupee has remained fairly stable, and India is saving US$100 billion a year on cheaper oil imports. Prime Minister Modi’s reforms are beginning to take root, and there are improvements in tax and in administration as it affects foreign investors, particularly an attack on corruption, which (as in China), reduces business costs significantly. We are focused, with our partners Val-Q in Bombay, on the midcap sector of the Indian stock market, where we see earnings growth of around 20% in consumer-related companies with a market cap of US$5 billion or less. As a general comment, we still see deflation as the primary trend in the world. The internet is the ultimate engine of deflation. We need less space for shopping when we buy on-line; taxi medallion prices have plunged due to Uber’s competitive pressures; and hotel room rates are feeling the heat from Airbnb. The secondary consequences of the oil price collapse will be felt most acutely in those marginal economies with high production costs – Venezuela, Colombia, Nigeria, Angola, Iran, the North Sea, and Canadian Tar Sands. We have already seen a sharp correction in oil currencies, and we are likely to see more distress in the coming year. When the oil price plunged in 1986 to US$15, it brought about the fall of the Berlin Wall within 3 years and the collapse of the Soviet Union within 5. There may be similar geopolitical effects this time around, possibly in Saudi Arabia and the Arab world. Where Will Chinese Wealth Go? Today it was announced by the Boston Consulting Group that there are now four million millionaires in China (up from three million in 2014) compared to seven million in the USA. This was mainly attributed to the rise in the Chinese stock market last year, as it only includes cash, shares, and financial investments not real estate, art or businesses. In the Asia-Pacific region as a whole, private wealth rose nearly 30% last year to US$47 trillion, out of a global total of US$164 trillion. The question that comes to mind, as the Renminbi becomes convertible by the end of 2015, and China liberalises both its financial system and its capital account, is – where will all this wealth flow? In our view, real estate has always been the primary destination of Chinese family savings, but this hunger has already been assuaged in cities such as Beijing, Shanghai, and Hong Kong, which now has the highest values per square foot in the world (HK$32,500 per sq. ft. or US$8.3 million for a 2,000 sq. ft. flat). The new wealth will, in our view, be directed to liquid securities, such as shares, bonds, and mutual funds. With the “Shanghai-Hong Kong Connect” being swiftly followed by a parallel Shenzhen-HK capital link, the money will be flowing mainly one way, into Hong Kong, where there are over 600 listed Chinese securities, and the average multiple is 11x compared to 25x on the Shanghai market and almost a 74x compared on Shenzhen. We expect that the greater China market will harmonise into a single capital market like Europe did after 1992, with Hong Kong being the centre as London became the financial centre of the EU. We are therefore very much focused on the liberalisation of the Chinese financial sector, banking, insurance and broking as it adapts rapidly to the imminent possibility of full convertibility for the Renminbi. We have received confirmation that the IMF will officially accept the Renminbi as an international reserve currency by September, and China may move to open its capital account by the end of 2015. China is moving rapidly from heavy industry and infrastructure development to the service and consumer sector. It is also moving from energy intensive GNP growth to a lighter model where alternative energy sources (nuclear, solar, wind and electric vehicles) assume a much greater importance. By 2030, China has pledged to reduce its carbon emissions, which is a major undertaking considering that China depends for 70% of its energy on coal, and is now the largest importer on oil in the world at 6 million barrels a day. The pressure of public opinion on the Communist Party leaders has increased in recent months, since over 20 million people viewed the video “under the dome” about the worsening problem of pollution in Beijing and its health consequences. Nothing will be more significant to the world energy balance and to the oil price than if China reduces its use of fossil fuels (this also effects geopolitics, as China moves to build base in the South China Sea and to protect its sea lanes, especially for oil tankers coming from the Middle East. All this rapid change in China is having consequences on other countries, especially on the emerging markets in South East Asia, Africa and Latin America. 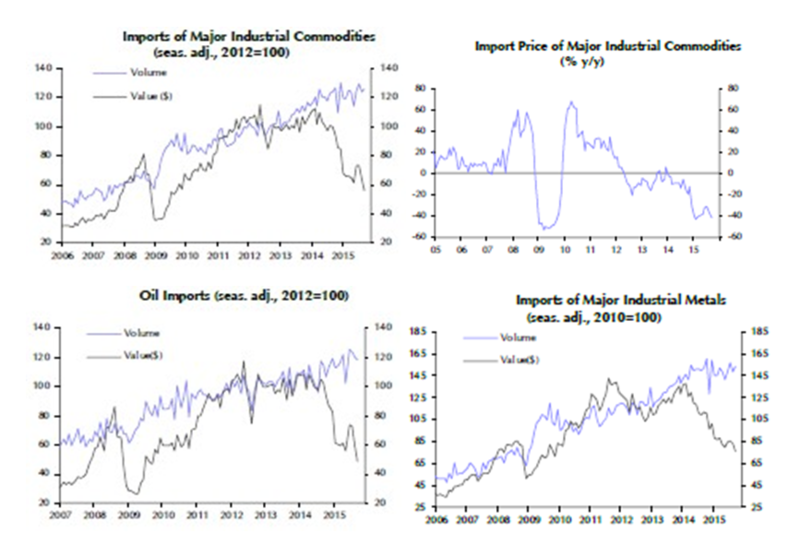 We do not expect there to be a recovery in commodity prices. If Islamic State invades Saudi Arabia, the oil price would certainly jump in the short term, but there is no visible bounce in gold or other mineral prices. The world is awash with oversupply for most of these products, which Chinese demand has driven for the last decade or more. We are still in a deflationary world, which is beneficial for consumers especially in Asia. As retail activity moves more and more onto the internet, this is also going to effect the demand for commercial space and we see a significant downturn in property values coming over the next few years. We are currently researching all of the Chinese internet stocks to find the new winners in e-commerce and other high growth sectors. In conclusion, although the market is expecting a summer correction, because of Greece or rising US interest rates, we are looking beyond these factors, to see that China is still moving ahead fast, and liberalising. China has learnt a valuable lesson from the USA in paper wealth creation, which is now coming from stock market more quickly than from trade and manufacturing. Over 4,000 new Chinese hedge and private equity funds have started up in the past three months and assets under management rose by US$75 billion to US$433 billion. In our view the Shanghai boom is just beginning and we will be going to Shanghai next month to try to assess the foundations, and the sustainability of this important development, of the financial sector, of the world’s largest second economy. Oil has rallied 25% from the bottom and, according to Fibonacci, needs to retrace 38% of its decline to break the cycle, i.e., $67 a barrel. This is now quite probable and would imply (given the extent of monetary easing and reflation in past 6 years) that from January’s deflation scare, we are now moving towards slightly higher inflation and higher interest rates. The relatively sharp upward move in bond yields (from their 30-year low) is also signalling this change. We do not believe that this indicates an upward move in commodities generally, (thermal coal, for example, is nearly 60% below its 2011 price). Oil is a separate and special situation, still driven by Middle East political tensions. If Iran gains control of Iraq, they control almost 50% of oil supplies in the “Persian” Gulf; if they can block Saudi oil tankers (i.e., by controlling the port of Aden), this rises to about 70%. In the words of one astute European investor aged 80, this is “the most dangerous geopolitical situation since 1939,” including Russia’s revanchism, again on display during the May 9th Moscow commemoration of victory over the Nazis. Another potential “discontinuity” is if the cost of solar power falls and the advance of electric battery technology proceeds rapidly enough, then the use of gasoline and diesel in the world’s vehicle population (around 1 billion cars and trucks) will rapidly decline; and the oil age will end within 20 years. Supply will, in any case, be plentiful (as the Arctic and other areas are opened for exploration), and the oil price would be nearer $20 than $100. All of this is good news for energy consumers such as China, Japan, Korea and the Philippines. In the short term, we continue to be optimistic on stocks and, more specifically, on China/Hong Kong, Japan, and India, also South Korea. Earnings growth this year will be better than expected in the region, and there is generally political and currency stability; and average GDP growth in the Asia-Pacific region is expected to average 6.3%. How do we reconcile our bearish view on Chinese real estate values with our bullish stance in Chinese equities? Kenneth Rogoff in his notable 2009 book, This Time is Different, noted that the peak in US real estate prices occurred in 1925; but the stock market did not peak until October 1929, four years later. Although we may have actually seen the peak of Chinese property (both residential and commercial), it is a slow-moving cycle; and the massive shift of savings from ‘hard assets’ into shares (evidenced by millions of new share trading accounts opened in Shanghai and Shenzhen) will propel the share market up for several more years. A parallel was made in the Financial Times two weeks ago between the growth in GDP in Japan from 10% from 1950 up to 1970, when it slowed down to 4% in 1970s, and at that point, the Tokyo stock market began its 20 times move up, until 1989. So far, Shanghai has only doubled and is still on a reasonable P.E. ratio of 22. We expect both Shanghai and, more especially, Hong Kong, on a P.E. of 13 and 40% discount to Shanghai, will make a much more significant move in the next 2 or 3 years. visits in Taiwan, confirming the pre-eminence of our major holding, TSMC. The Taiwan market still trades 22% below 1989 levels. In India, where we have been analyzing the durability of the IT sector as reflected in space demands (Ascendas REIT, listed in Singapore) and in Japan, where we are focused on earnings growth among hi-tech exporters (Fanuc, Omron). 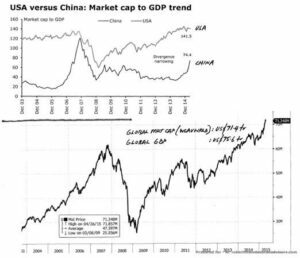 In conclusion, we are convinced that we are in the early stages of a long Chinese bull market in Shanghai, Shenzhen and Hong Kong shares (like New York 1925 or Tokyo 1985). There are now more than 81 million private trading accounts in China: up 12% since the start of 2015. Many people have more than one account, so this means that despite a stampede of growth, equities ownership among 1.4 billion Chinese remains very low and with plenty of room to grow. My vision of Asia in the next few years is that, as China’s economy matures and liberalises (especially in the financial sector and the international use of the Renminbi), a single capital market will emerge, as it did in the European Union after 1992. Hong Kong will likely perform the role of central financial hub, as London did for Europe. The Hong Kong dollar may be repegged to the RMB instead of the US dollar. This is a positive for Hong Kong, because the internationalisation of the mainland Chinese currency is good for China and what is good for China is good for Hong Kong, her shop window. Both the Hong Kong and Taipei share markets will be revalued as they continue to become more visibly linked to China.